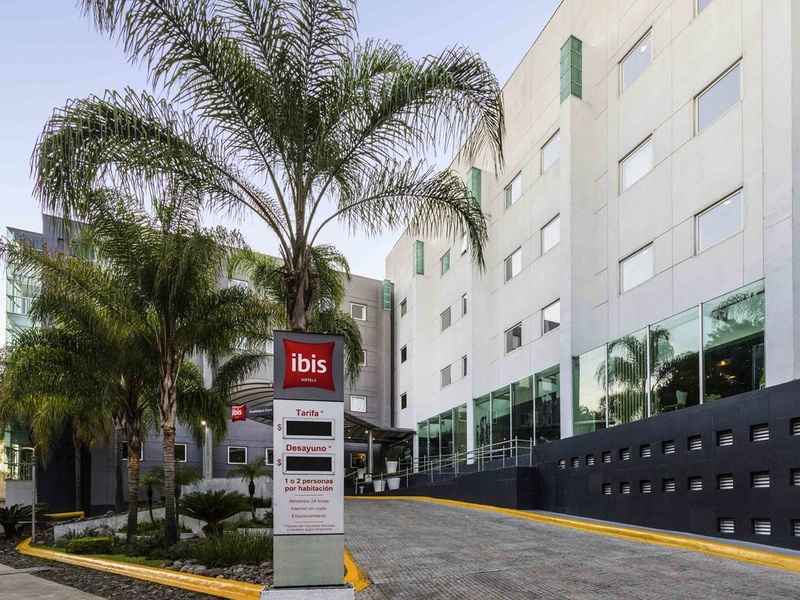 The ibis Guadalajara Expo hotel is located in the financial district, opposite the Expo Guadalajara, close to the WTC and the Plaza del Sol, 10 minutes from the historic center and just 30 minutes from the airport. It has 159 modern, soundproofed rooms with air-conditioning available for reservation. The hotel serves a full buffet breakfast every day and has a restaurant, a bar with a 24/7 snack service, free 30 MG asynchronous wireless Internet access, a private car park and 3 meeting rooms. The hotel is located at the center of the industrial district and just a few minutes walk from the Expo, the WTC and shopping centers. It is a 20-minute drive from the main square, the cathedral, the Cabañas Institute, the stadiums and the museums. A double bed, WiFi, flat-screen LED TV and bathroom with shower.